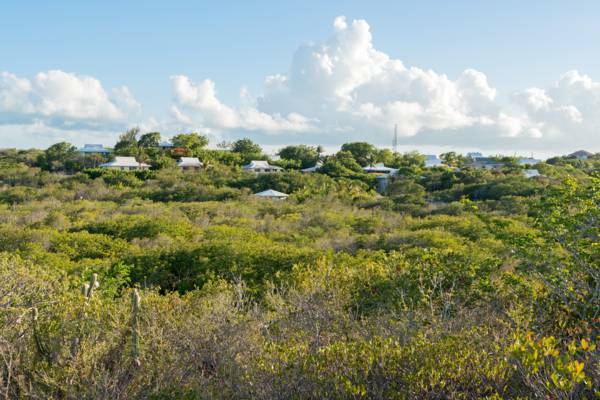 The view from the north ridge of Richmond Hills, Providenciales. Richmond Hills is a largely residential area in the middle of Providenciales. It is adjacent to Turtle Cove, central Leeward Highway and The Bight. The terrain of this region consists of a ridge overlooking Turtle Cove, an interior valley, and higher elevation ground near Leeward Highway. This community is home to a few rental villas, a school, and gym. There aren't any restaurants in this area. Richmond Hills is located directly to the southeast of the Turtle Cove tourist area, and as such is within easy access of the restaurants and shops surrounding Turtle Cove Marina. Aerial view of Richmond Hills. Two beaches are near Richmond Hills: to the west is the excellent snorkelling site of Smith's Reef, and to the east is the Bight Beach. Depending on the location in Richmond Hills, it may be feasible to walk to the beach. The southern side of this region may be a bit too far, yet accommodations on the northern ridge fronting Richmond Hills, and the residential enclave of Richmond Commons are quite closer to the coast. Richmond Commons does not have road access directly to Lower Bight Road, the route that most beach accesses in the area lead off of, however, there are walking paths and steps that lead down the ridge. 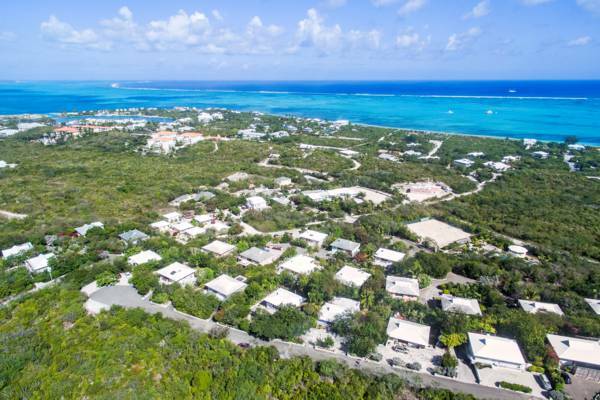 Richmond Hills has always been close to historical development on Providenciales. Found not far from Cheshire Hall Plantation, this area also saw an agricultural attempt. Similar to many other locations in the Turks and Caicos, the name Richmond Hills is derived from a namesake town or region in England, in this case, the town of Richmond, near London. Remains and walls from the late 1700s Brough Hill Loyalist plantation can still be found hidden in the dense brush of Richmond Hills today. Unfortunately, what little still stands from this site continues to be slowly overtaken by development today. A bit more recently, the Third Turtle Inn, Providenciales’s foray into tourism in the 1970s, also stood not far from Richmond Hills. Last reviewed by an editor on 24 February 2017.